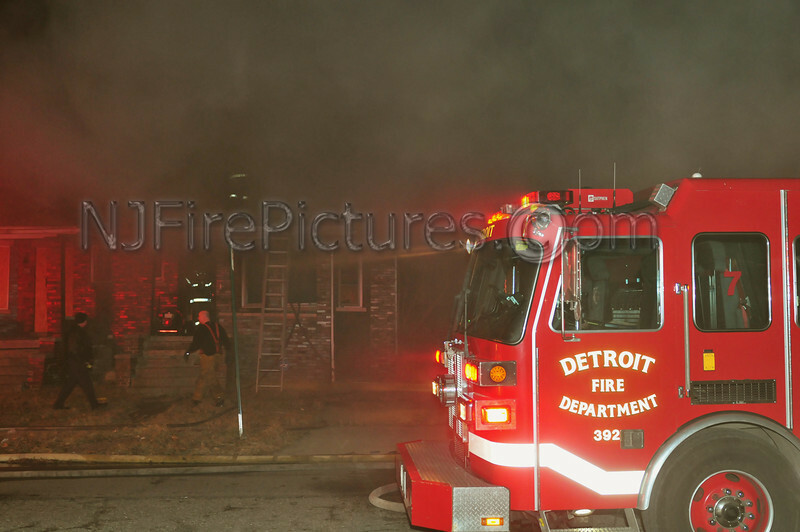 On February 21, 2012 Detroit firefighters responded to Gladstone & Third on a reported dwelling fire. Upon arrival the found a working fire in a vacant 4 flat. Companies made an aggressive interior attack on the fire and knocked it down within 15 minutes. Searches were conducted after residents in the area reported that squatters were living in the building. All searches proved negative. Responding Companies on the Box Alarm Engine 35, 21, 39, Ladder 7, Squad 4, Chief 5.